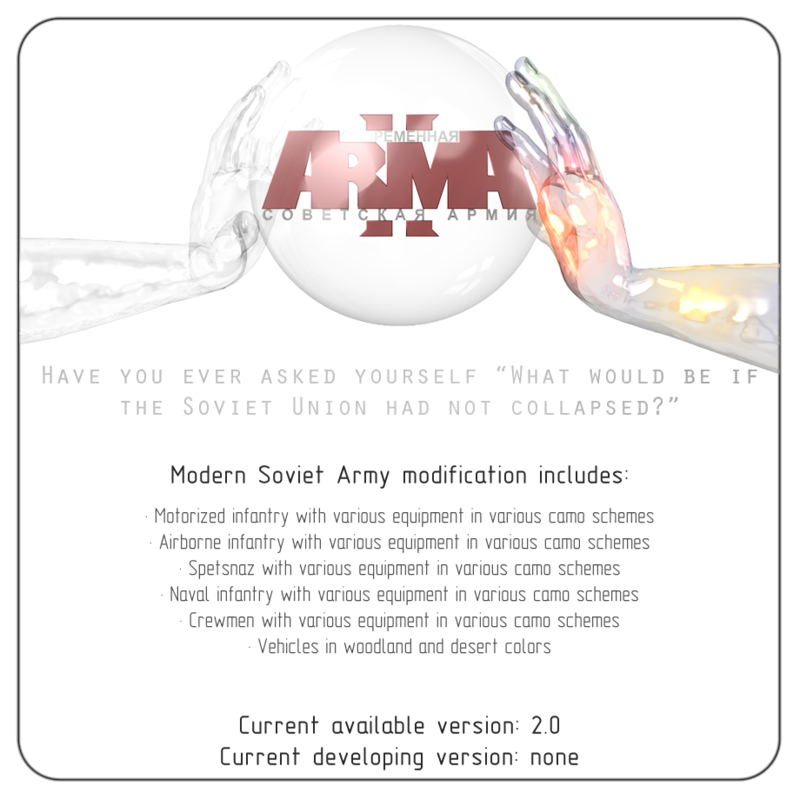 Army of Republic Baltia addon for Modern Soviet Army mod. Amazing mod, just amazing, I created a english transaltion, just email me (GHRMC78@GMAIL.COM) to get it, I also did a replacement pack for the Russians in ArmA 2. The project is closed. All members who was in charge for this project left the studio. The rest part is working on an indie game. That's really too bad, I had only found this recently on arma/at/ua, I'm very impressed by the detail done to the units. I just got one more question. About the camo schemes, are they changeable ingame or was that feature dropped before release? Cause I don't see an option to change the camo like in the "Camouflage Showcase" screenshot. Can you do translate to english or czech language. So are there plans for more vehicles? More vehicles are included to Army of Republic Baltia addon. It's still in progress. We all are working on that, but have almost no time for that. Okay, good to know! Thanks for the speedy reply!